Ferrari technical director James Allison has targeted an improved performance from the team over the final four races. â€œThe Korean and Japanese Grands Prix were both disappointing for us as our car was not right at the front or winning, which is not the level we should be at,â€� said Allison, who joined Ferrari from Lotus earlier this year. â€œSo nostalgia, excitement and pleasure at seeing so many faces I remember from before, who were junior members in the team when I was here the last time, but have now grown up with the team and hold senior positions. Allison added there have been â€œmany changes within the Scuderiaâ€� while he was away. I am not trusting them at all, it already seems like Kimi is regulated to secondary role. Why oh why did have to return to Ferrari? I hope he knows what he is doing. I am also not seeing anything that indicates that Ferrari will really be good next season. Interesting. So will Brawn take a sabbatical or join another team? I think Team Principle position maybe doesn't require sabbatical like the other technical positions. Toni Vilander met Stefano Domenicali on Abu Dhabi -paddock. According to Domenicali he never abandoned the thought of Räikkönen's return to Ferrari. – My philosophy is to never say never. Kimi has always behaved very professionally and positively towards us. I am very happy that his comeback is now possible. Ever since he came back to F1 he has proved to be in a tough stitch. He is a very special guy in this sense, Domenicali said. Do you think that Kimi's arrival to Ferrari will now be easier than it was the first time, now that you both know how you work? – Absolutely. We know his strenght and he knows our team. F1 needs experienced drivers. 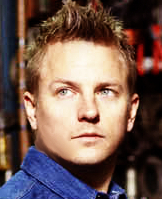 Kimi's experience will definitely help us with the challenges that the new rules create. His input is in a very important position, Domenicali said. Next year you have two drivers and two strong personalities both on- and off-track. How are you going to prepare your team and engineers for that situation and how will you make sure that they work well together and avoid unnecessary disputes? – My only problem is to provide both drivers a competitive car. If we have a good car then there won't be any problems. Both Kimi and Fernando Alonso are mature, adult persons and world champions so they know what it means to give their all to the team. You Toni, you know after being a member of our team for many years, that in Ferrari the team always comes first. The will to give all to the team and putting the team's interests before your own interests is important, Domenicali said. 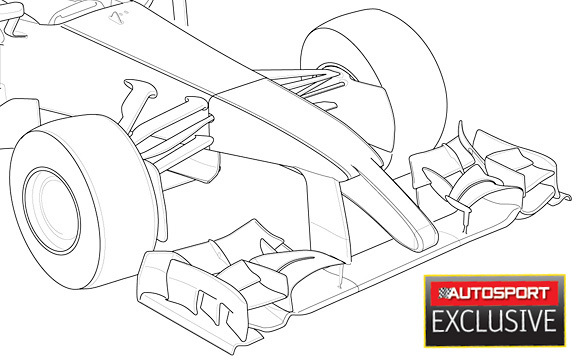 Just saw this image on autosport of a possible design for the 2014 F1 cars.. I hope this doesn't mess up anyone's travel plans for next year.. 2014 Revised Calendar.. It does! Need to change my vacation time for Austin!!! Sounds good to me.. But if Abu Dhabi is the final race of the year: Austin will definitely move up in the schedule..
1. Can anyone stop Red Bull/Sebastian Vettel? Red Bull start next season as favourites. No question. They are at the peak of their game. They have a stable management, the best designer, loads of money and a quadruple world champion driver. That said, they can be knocked off their perch. Ferrari, McLaren and Mercedes are not there to make up the numbers. They have deep pockets, too, and with the biggest regulation changes in a generation coming up in 2014, the opportunity is there for someone to swoop in. 2. Will the new regulations produce exciting racing? This is a big question and one to which no one knows the answer. I have been through engine regulation changes before but nothing quite as dramatic as next season’s switch to 1.6-litre turbos allied to vastly more potent energy recovery systems. Some fans are worried that it might become an ‘efficiency’ formula rather than an ‘all-out racing’ formula but let’s wait and see. I think there may be some reliability issues at first but as teams get used to the new power units, we will see them push harder and harder. 3. Will tyres still be a big factor and should they be? Pirelli’s tyres provided the biggest single differentiating factor this year. Red Bull, and in particular Sebastian Vettel, got the most out of them. Next year the power units will play a much bigger role but there is no reason to suggest that the tyre issues we saw this year will go away. With more torque, there will be a lot more stress on the rear tyres. Again, it is a big unknown. Due to F1 politics, Pirelli has not even been able to test its 2014 tyres yet. But I predict more controversy. 4. Can Lewis Hamilton adapt to the new regulations, see off Nico Rosberg and claim his second title? Yes, yes and yes. Lewis Hamilton is a world-class driver and I have seen nothing to suggest that he is incapable of adapting. His win in Hungary proved that he could work the tyres, drive quickly and sensibly, and claim wins in this formula. Rosberg has proved a handful for him – perhaps more than many people expected – and the German enjoys the mental challenge of this new style of racing. But I am sure that if Mercedes give Lewis a car with which he is comfortable, he can win his second title. 5. Is Jenson Button over the hill and can McLaren bounce back from their annus horribilis? money. Both they, and JB, can bounce back. It will be fascinating to see how Jenson fares against the rookie Kevin Magnussen. Who is to say that the 2014 regs might not suit youngsters such as Magnussen or Toro Rosso’s 19-year-old Dany Kvyat? 6. How will Fernando Alonso v Kimi Raikkonen pan out at Ferrari? Everyone in the paddock is looking forward to this contest. My hunch is that Fernando will have too much over the course of the season. He is embedded in Ferrari, speaks Italian and has no weaknesses as a driver. That said, he did tie on points with Lewis during their season together at McLaren and lost his cool in the process. Kimi does not do the political stuff so I don’t think this relationship will be as volatile. I expect Fernando to prevail.